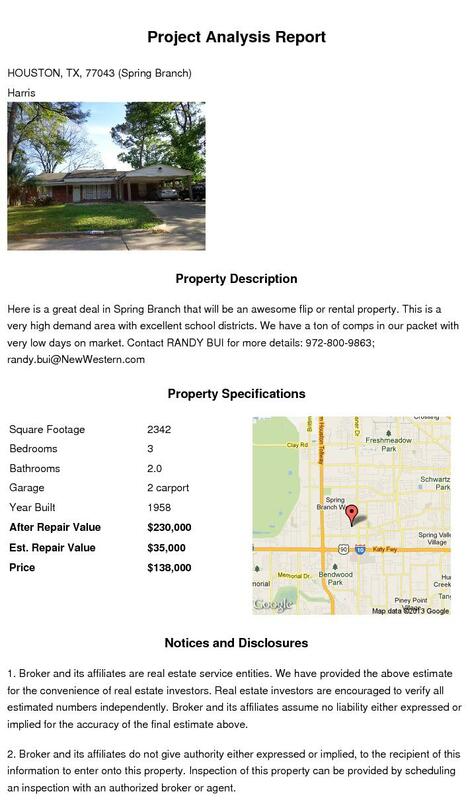 American Wholesale Property: NON MLS deal in Houston's Inner-Loop!! 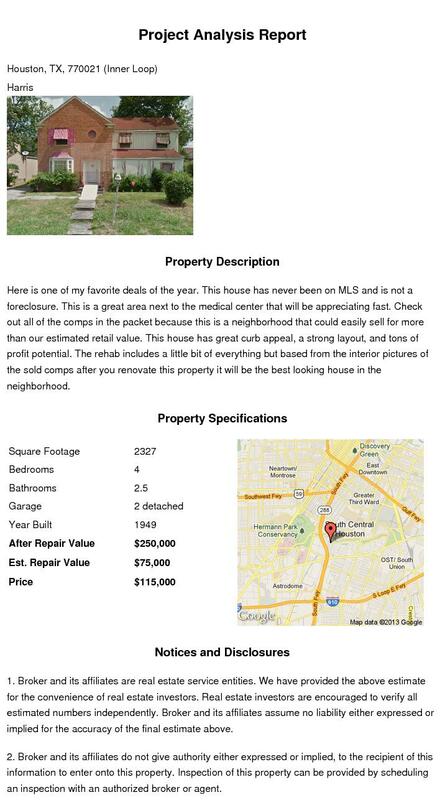 NON MLS deal in Houston's Inner-Loop!! Here is one of my favorite deals of the year. This house has never been on MLS and is not a foreclosure. This is a great area next to the medical center that will be appreciating fast. Check out all of the comps in the packet because this is a neighborhood that could easily sell for more than our estimated retail value. This house has great curb appeal, a strong layout, and tons of profit potential. The rehab includes a little bit of everything but based from the interior pictures of the sold comps after you renovate this property it will be the best looking house in the neighborhood.